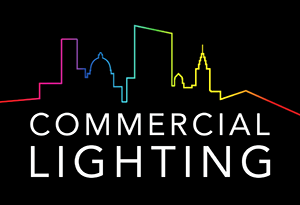 One of Commercial Lighting’s founding principles back in 1991 was to influence a postive change in how we in society impact our natural environment. As a lighting manufacturer, that has meant an unwavering commitment to utilising the most energy efficient technologies available, producing quality lighting solutions that successfully illuminate spaces and architecture whilst reducing light pollution, and implementing renewable energy and recycling systems into our manufacturing (more details). This concern for the environment has also meant a real desire to support those vital organisations and charities that protect the wildlife we share it with. Hampshire & Isle of Wight Wildlife Trust is a crucial charity in our local area, and one we’ve been proud to support for a number of years. We spoke to HIWWT’s Fundraising Officer, Steph Watson, to find out more about their work, and how support like Commercial Lighting’s can have a directly positive effect on the conservation of the local environment. Could you tell us a little about the work of Hampshire & Isle of Wight Wildlife Trust, and the role the collective Wildlife Trust organisations have across the UK? Steph: Hampshire & Isle of Wight Wildlife Trust is the leading nature conservation charity in the two counties. For more than 50 years, we have protected local wildlife and inspired people to love nature. No other organisation, local or national, does more to protect the wildlife and wild places of Hampshire, the Island and our local seas. We are one of a network 47 Wildlife Trusts that stretch all across the UK. Together we stand up for, and look after the natural and wild places close to where people live. HIWWT claims to do more to protect the wildlife and wild places in Hampshire, the island and our local seas than any other organisation. How vital is the work of HIWWT in ensuring the protection of our natural environment? Inspiring people to love nature and helping them to get involved in protecting it – by becoming Trust members, improving their gardens for wildlife, volunteering their time and supporting our campaigns. Looking after nature reserves as special havens for wildlife such as otters, red squirrels, orchids and dragonflies. Studying habitats and species in the wild to gain a better understanding of how best to protect them. Advising local and national government to improve policies that have an impact on wildlife. Influencing the land-use and marine planning systems to make sure that activities like house-building, gravel dredging and other activities do not harm habitats and wildlife. Helping land owners and sea users to manage their activities in ways that benefit wildlife. As a charity, HIWWT receives donations and sponsorships from individuals and organisations to help its continued operations. How crucial is the support from companies like Commercial Lighting, and how does it directly translate into protecting our local wildlife? The support of our members and donors is essential to the Wildlife Trust and we simply could not carry out our work without it. As funding from traditional sources such as grant making bodies and local and national government becomes scarcer it is the passion and support of individuals that make it possible for us to continue our vital conservation and education work. It is only through the generosity of our supporters that we can continue our vital work to protect and conserve the wonderful and diverse wildlife and habitats that make our counties so special. Aside from supporting the charity financially, is there anything local organisations and individuals could do to help ensure the future of our wildlife? Creating space for wildlife in your garden or local greenspace (some helpful tips on our website here). Volunteering your time to help the Wildlife Trust carry out conservation tasks or monitor local species. We even need help in our head office so anyone can get involved. Attend one of our events or courses and find out more about the fabulous wildlife on our patch. Get involved in our campaigns by following us on facebook and twitter and let local politicians and decision makers know how important local wildlife is to you. Get out and enjoy the fresh air and visit one of our reserves. They are free to visit and studies show that time outdoors in a natural environment is great for our health and can even make us happier. To find out more about Hampshire & Isle of Wight Wildlife Trust, go to their website. If you are also interested in supporting HIWWT, get in touch with Steph Watson at steph.watson@hiwwt.org.uk.